You love the elderly members of your family, of that there is absolutely no question. But oftentimes, you or your family just do not have the resources or time to personally take care of the needs of your loved ones that you would eventually decide to have them live in a Care Home facility. Fortunately, you now have a different option! With Cascades Home Health Care, you can stay at home and improve the quality of your living without having to worry about disrupted routines and upset schedules. Cascades can help care for your loved ones in the very comfort of your own homes. They get the care and guidance they care for and they don’t have to live far from you. Sometimes, certain conditions deter a person from living as comfortably as one is used to. If you value living life in an independent manner but do not need medical services, our part-time and full-time people can provide you with services like personal care services and companionship services. If, however, you require the help of a skilled health care professional, a registered nurse can be assigned to provide such services like medication management and Alzheimer care. 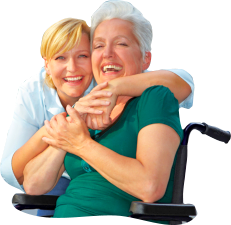 Cascades Home Health Care is an agency licensed by State of Virginia and our services are covered by your Medicare, Medicaid and numerous other insurance providers. For more information about our services and our company, you may contact us thru our phone number: 703-953-2400 or send us an email through cascadeshhc@gmail.com. You may also pay us a visit at 44081 Pipeline Plaza, Ashburn, Virginia. Taking good care of your loved ones is not an option, it is a necessity. For your loved ones’ peace of mind, choose Cascades Home Health Care. Cascades Home Health Care does not endorse disparity in employment and service provision. In accordance with Title VI of the Civil Rights Act of 1964, we shall ensure equal access to services and/or benefits for all employees and clients without discrimination for disability, sexual orientation, color, gender, religion, national origin, race, age, ethnic background, citizenship or ancestry.